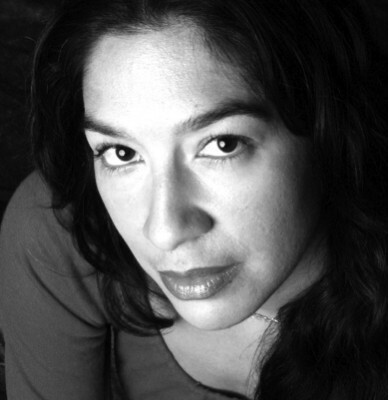 Alicia Lueras Maldonado is a photographer, producer, filmmaker and actor. She is Mestiza and a Native New Mexican, born and raised in the community of Atrisco. Alicia holds Bachelor of Arts degrees in Communication & Journalism and Spanish from the University of New Mexico, with concentrations in photography, film, literature and dance. She has spent the last 20 years working within the intersections of art, politics, community organizing and social justice. As the Founder & CEO of Atlixco Productions, she helps individuals and organizations design creative strategies for their work, produces and directs radio, theatre and film, shoots photographs and brings years of organizing, management, and consulting experience to her work. Alicia is a Founding Member of the New Mexico Strategic Leadership Institute, a statewide learning community for New Mexico leaders and she is also a Founding Member and the former Creative Director of the Center for Civic Policy, a local nonprofit working to advance progressive policies at a statewide level. Alicia is the Governing Council President for the South Valley Academy, a small charter school in the Albuquerque. She is an invited artist to the Littleglobe Center for Creative Community Engagement and she also sits on the board of AMP Concerts, a nonprofit dedicated to creating community through music. She is a member of Las Meganenas, a Latina theater troupe. Alicia lives in Albuquerque, NM.